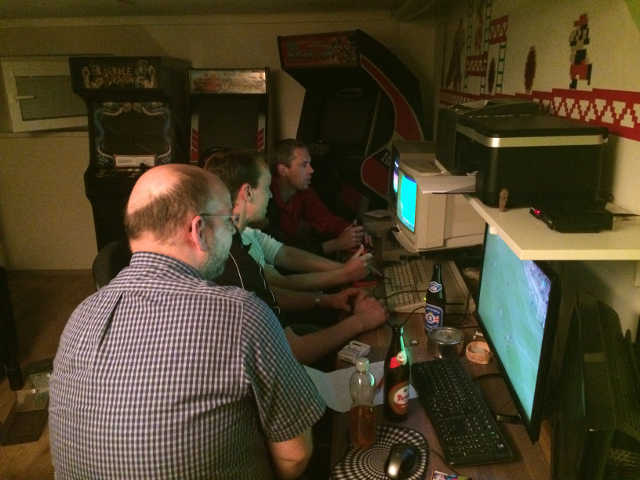 My little annual tourney was held yesterday night at Harald’s place. Level of KO2 was rather low – fun factor was rather high though. Somehow Harald managed to draw against me while completely going under against Armin. In fact I was lucky, again an overtime diagonal lob saved me, last second really. Michael’s game against Harald was quite a thriller, could have gone either way easily. All right, a tournament! Well done, Austria! First one this year, isn't it? Hope for more to come! So cool! And look at that picture! What a DUNGEON!!! Freshmaker wrote: What a DUNGEON!!! Very nice! very good location! Next kick off tournament in a week!